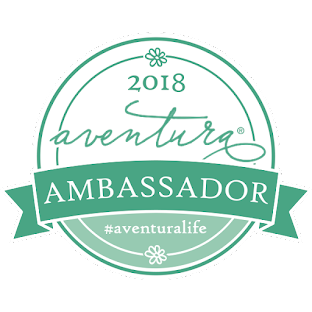 I am the director of our AWANA program at church, which is a children's ministry that runs during the school year. 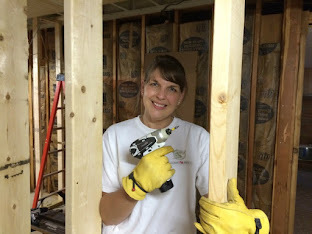 It is time for the kids to be out of school for Summer, which calls for a celebration! What screams "Summer" more than ice cream?! 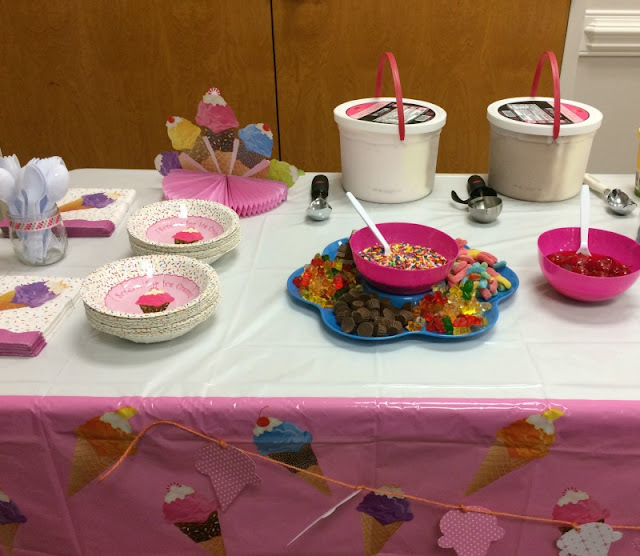 Here is how I created an ice cream party to celebrate the end of the AWANA year and the beginning of summer vacation. 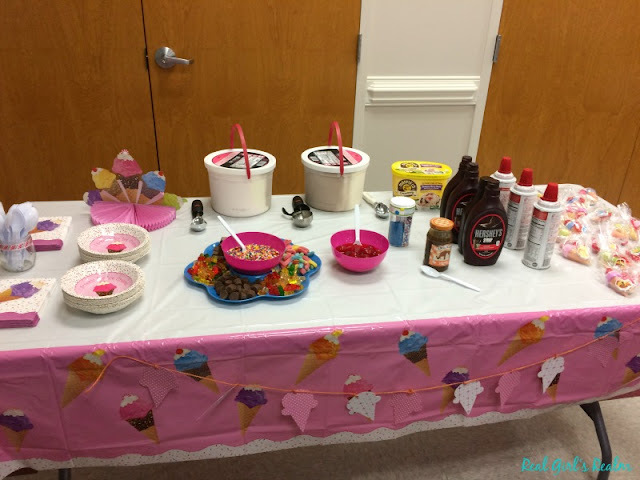 I decided to make an ice cream sundae bar, complete with all the toppings. I stated with an ice cream themed table cloth and centerpiece and built off the theme from there. Oriental Trading is my go-to for party themed decor! 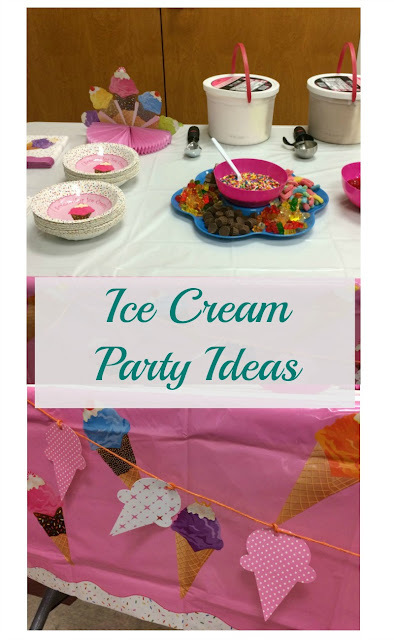 They have everything you need to create the perfect party from decorations, to paper goods, to party games and favors. 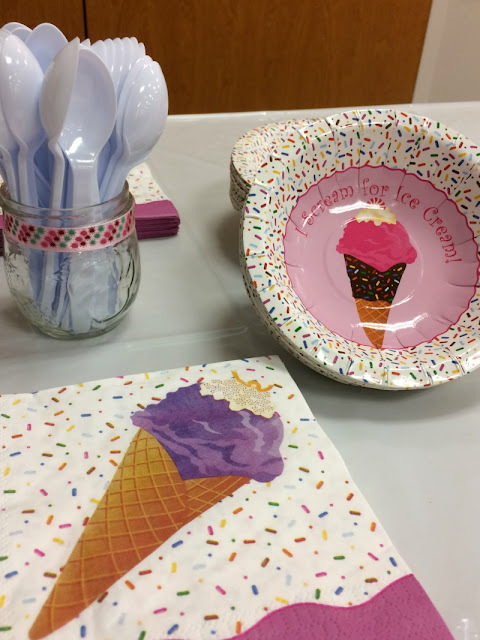 I picked out a tablecloth, centerpiece, bowls, napkins, and favors from the "I Scream For Ice Cream" line. How cute are these designs?! 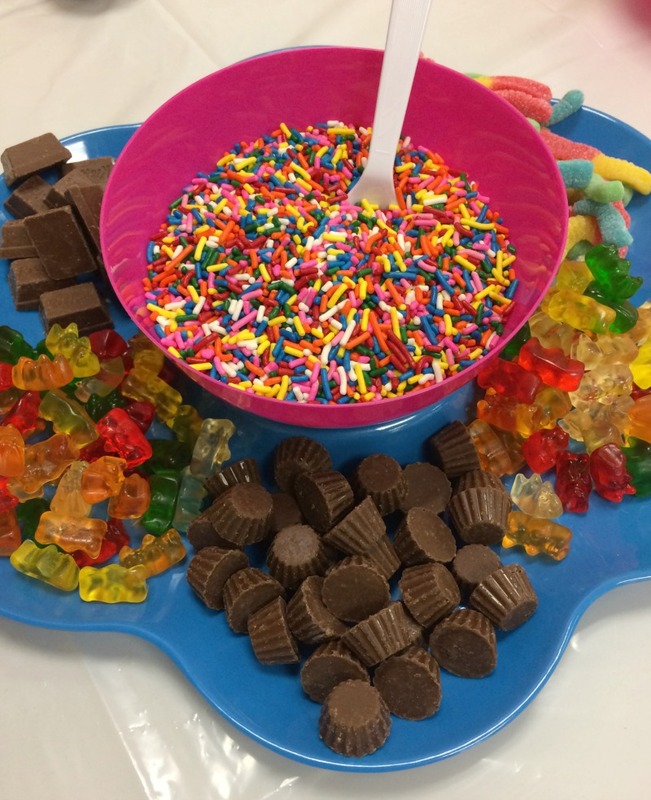 I used mason jars, with ribbon tied around the mouth to hold the utensils and plastic pink bowls and a plastic veggie tray from the dollar store to organize the candy toppings. 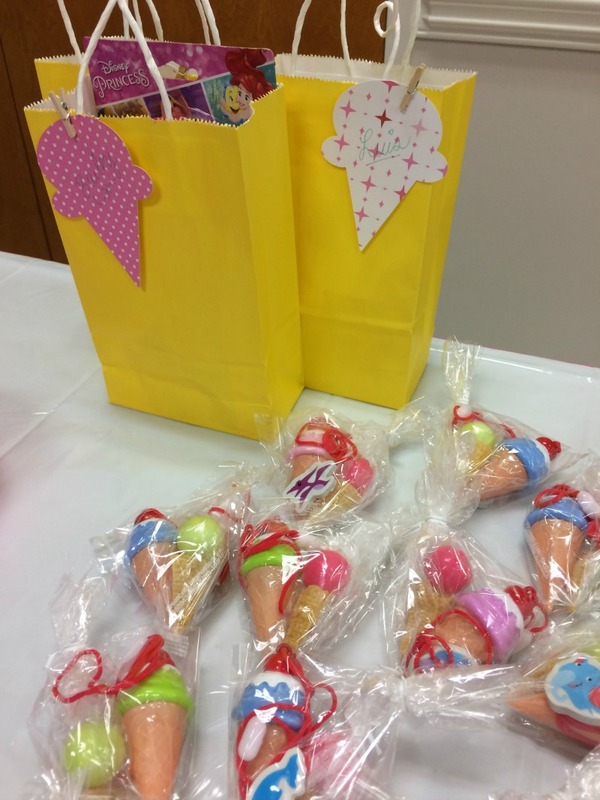 I also made mini treat bags for all the kids and larger gift bags for the children who were moving up to the next class. 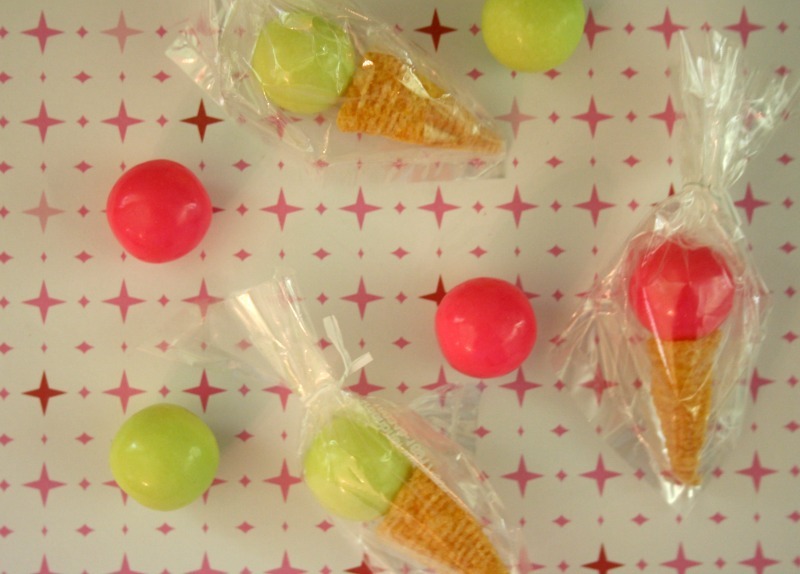 I found these cute ice cream cone shaped bubble necklaces on Oriental Trading and made a sweet/salty treat from gum balls and Bugles. I also included animal themed erasers. I used my Cricut cutting machine to make the ice cream garland. 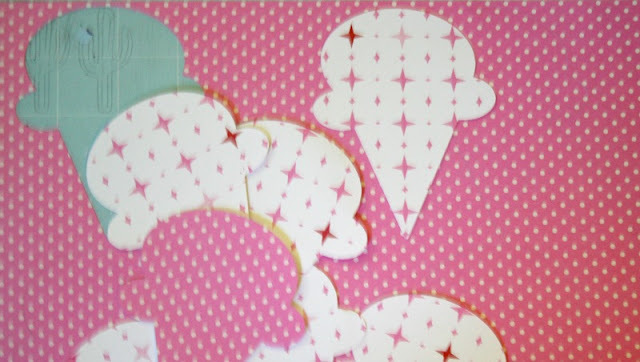 Step 1: I searched for free images of ice cream cones in the Design Space, then cut several on two coordinating patterns of light cardstock. 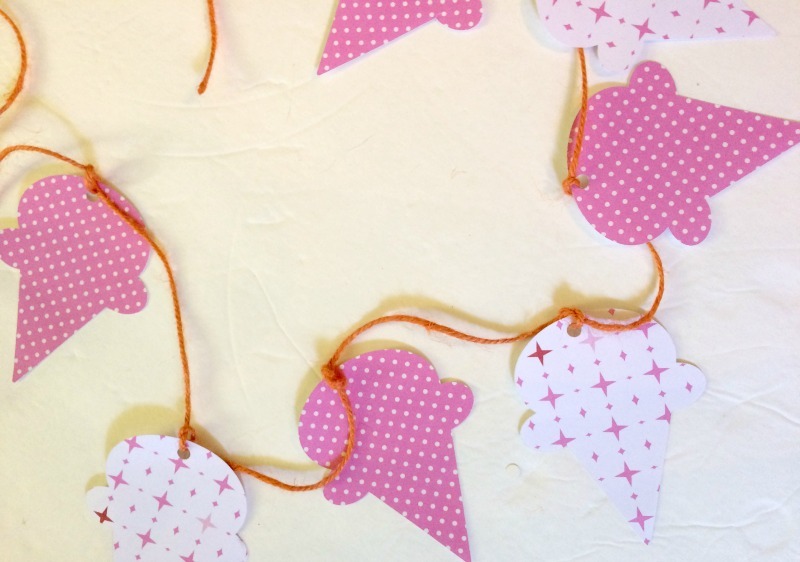 Step 2: I used a hole punch to make holes in the top of each cone. Step 3: I strung them on a piece of colored twine, knotting each cutout in place. The ice cream celebration was a hit and everyone commented on how cute all the ice cream themed items were! 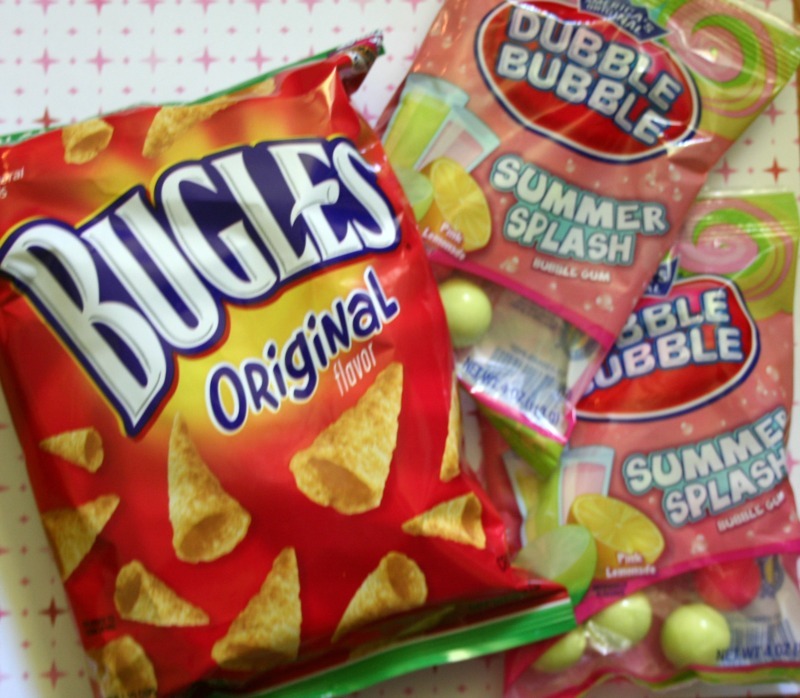 How do you celebrate the beginning of Summer? What a cute party! 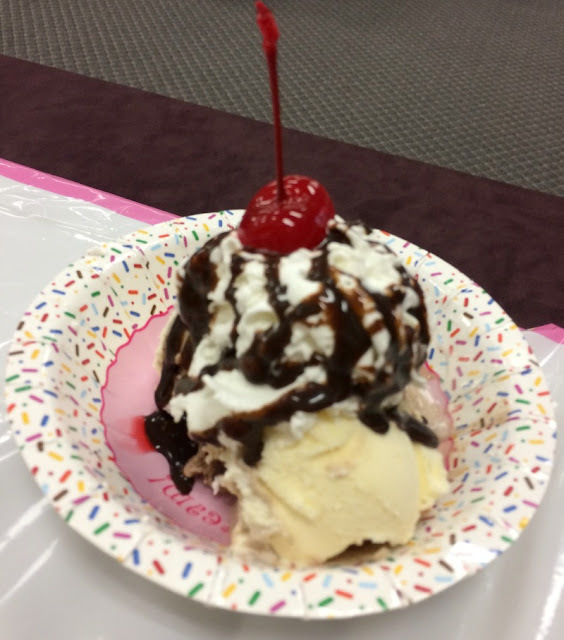 I love the ice cream sundae bar. The decor is perfect and I am sure they enjoyed the fun party! Thanks Jennie! 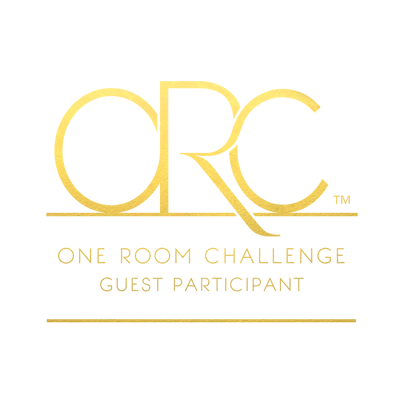 It was so fun to do! This was such a cute party table! The Ice Cream Bubbles were a big hit. Thanks! I am glad the kids liked them! Who doesn't love an ice cream party. I don't know! It is so fun! 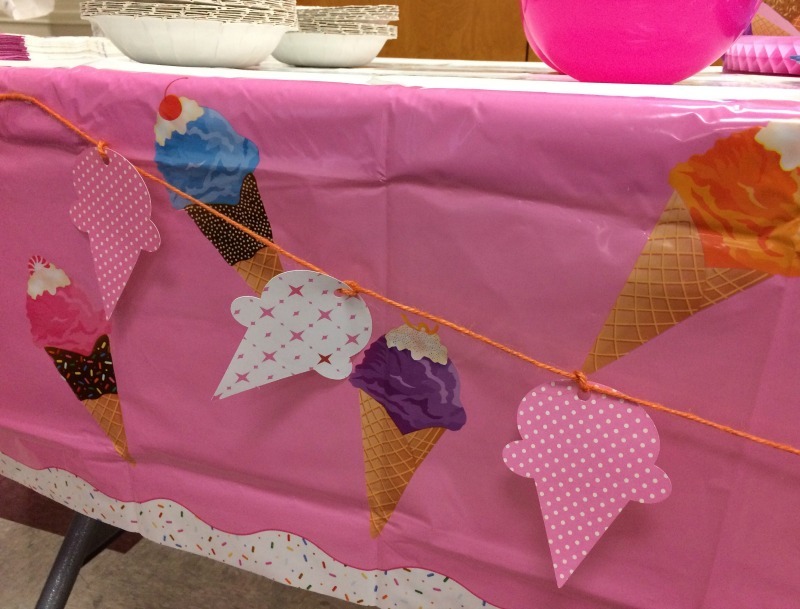 We love to celebrate the beginning of summer with an ice cream party too. Ice cream parties are always such a hit. Yes, Nothing says summer like Ice Cream! The veggie tray for ice cream toppings in brilliant! Those bubble necklaces? I love them! I just stumbled across the idea while looking through my cabinets for things to use :-) The bubble necklaces was a huge hit with the kiddos!